Next month will see the release of a new, crowd-funded compilation on Hope Recordings, entitled ‘Nick Warren Presents The Soundgarden’. Nick Warren is well-known in electronic music, having released material via imprints such as Global Underground, Renaissance and Cream since the early-90s as well as being the A&R behind Hope Recordings and one half of the legendary Way Out West. Here we see Nick return to the mix CD format, which he tells us ‘has always been something I love’, via a 2CD compilation taking in downbeat and club sounds. Nick Warren: ‘’Sourcing new music and making it into a cohesive album isn’t always an easy process, but something I find very fulfilling. Ever since compiling the first ever ‘Back To Mine’ in the ‘90s my passion for weird and wonderful ambient textures and melody-filled dance floor sounds has been one of the driving forces of my search for the perfect track. CD1 sees Nick explore soundscapes and ethereal textures, featuring records from the likes of Clara Moto and Nils Frahm as well as some exciting newcomers that Nick’s unearthed while compiling the mix. CD2 tips the focus over to the club, comprising an amalgamation of intricate and melodic dance floor focused cuts, with established artists on offer such as Barry Jamieson, Black 8, Da Funk and Waywork, as well as introducing some fresh talent into the mix as well. To coincide with the release of the compilation Warren will also curate a series of ‘Soundgarden’ events, the first of which kicked off in London, early this month. 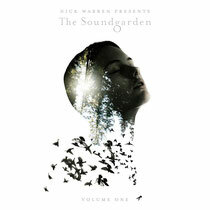 ‘Nick Warren Presents The Soundgarden’ is out on Hope Recordings 9th June.